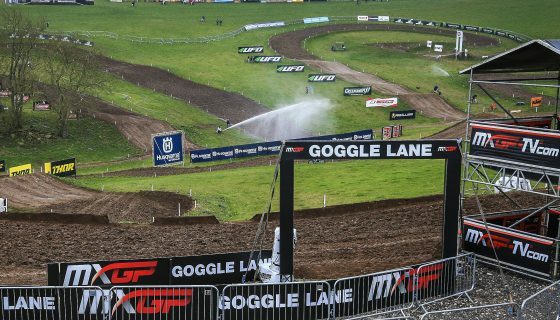 MXGP LINES UP IN LATVIA. 6 rounds into 2018 and the MXGP FIM Motocross World Championship has a new winner coming into Kegums, Latvia for this weekend’s MXGP of Latvia: Monster Energy Kawasaki Racing Team’s Clement Desalle has added to the excitement of the title chase. Last year we saw the first dominant performance of Red Bull KTM Factory Racing’s Jeffrey Herlings as he took double victories on the sandy circuit. Latvia was an important race in the 2017 championship chase not only seeing Herlings return to form but also a massive and costly crash from Team HRC’s Tim Gajser. As for the MX2 class the race will hold significant value for the series points leader and defending MX2 World Champion Red Bull KTM Factory Racing’s Pauls Jonass. 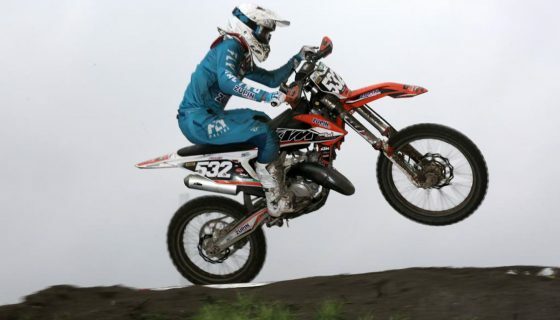 Jonass, a Latvian himself, will have the full backing of the fans and look to win his home GP for the first time ever after narrowly losing out to rookie success of Rockstar Energy Husqvarna Factory Racing’s Thomas Kjer Olsen, who took his first ever GP victory here last year. 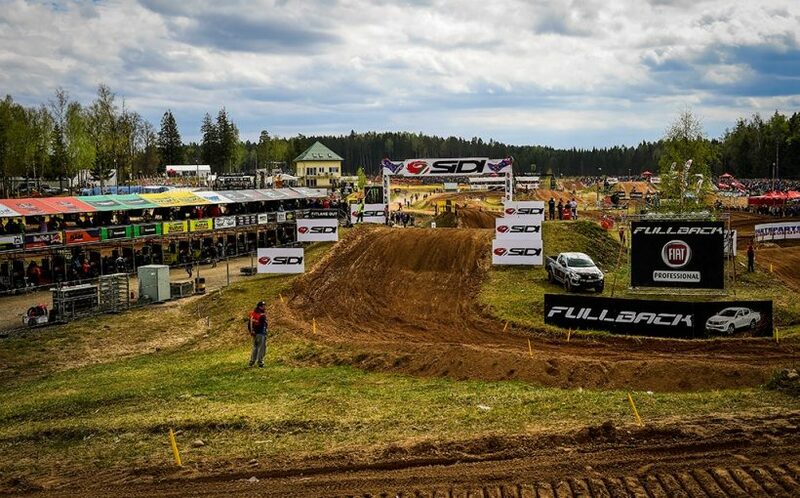 The circuit in Kegums, very close to the capital of Latvia, Riga, has seen the World Championship since 2009 with its sandy soil and technical surface. 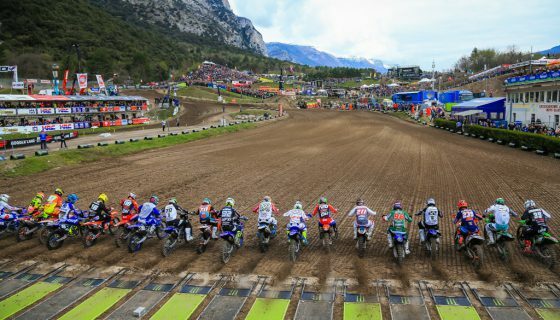 The venue is world class and in addition to the MXGP World Championship the circuit hosted the Monster Energy FIM Motocross of Nations in 2014. Throughout the past years the track has hosted dramatic racing, challenged the world’s best riders, and the same is expected this year. 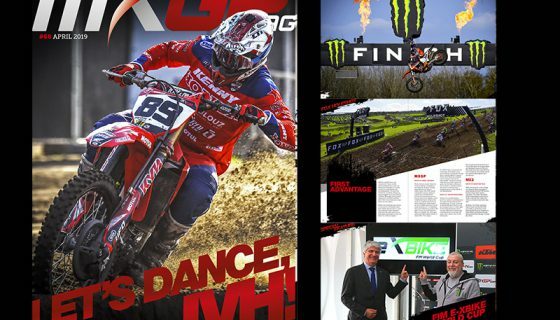 The weekend will be a busy one as well packed with both MXGP and EMX racing. Adding to the schedule is the classes of EMX250 and EMX125 Presented by FMF Racing. The two classes each have 79 riders entered including points leaders Martin Barr in EMX250 and Rene Hofer in EMX125 presented by FMF Racing. The MXGP class prior to the Russian GP was dominated by Red Bull KTM Factory Racing’s Jeffrey Herlings and Antonio Cairoli. However Monster Energy Kawasaki Racing Team’s Clement Desalle is gaining ground on the pair of KTM riders and starting what could be a three way battle for the championship after his win only a week and a half ago in Russia. Last year Herlings found his winning form on the Kegums circuit edging out his rival Cairoli while Desalle finished just off the podium with 2-5 finishes for 4th. 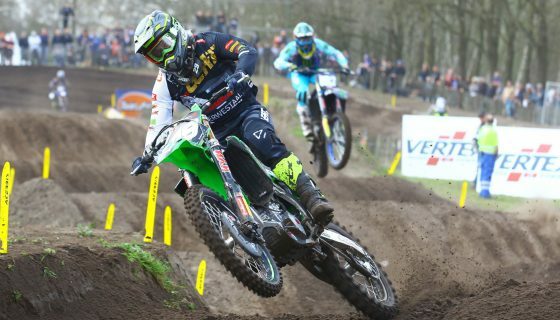 Desalle has raced the circuit since its first appearance on the MXGP calendar in 2009 where he finished 2nd. 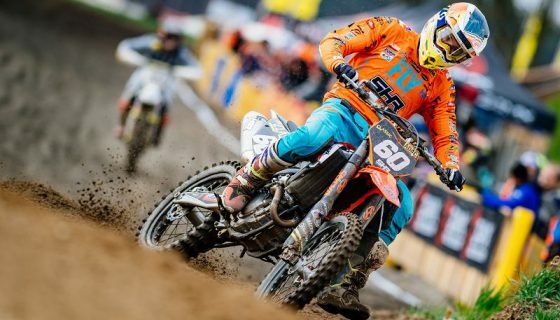 Cairoli meanwhile will race his 222nd GP and has won in Latvia 4 times including the circuit’s first World Championship race in 2009 with 3 2nd place finishes and one 5th. Kegums is clearly a strong track for the Sicilian and one where we may see him atop the podium at the end of the weekend. BOS GP’s Evgeny Bobryshev found the podium in Latvia last year for one of the best performances of the season. Team HRC’s Tim Gajser is also returning to form and was fast on the Kegums circuit last year before a crash took him out of racing. Gajser won the Latvian GP in 2016 and likely will challenge for the podium this weekend. Monster Energy Yamaha Factory MXGP’s Romain Febvre sits 4th in the championship standings but last year he came away from Latvia with a disappointing 13th overall. Nevertheless Febvre has reached the Latvian podium twice, in both 2015 and 2016. Rockstar Energy Husqvarna Factory Racing’s Gautier Paulin is another rider to watch. Paulin, currently 5th in points, finished 5th in Latvia last year but had a strong 2nd in 2015 and has never missed the top ten in the 7 times he’s raced the circuit. Wilvo Yamaha Official MXGP’s Shaun Simpson has yet to decide wether to race this weekend after a crash took him out of contention in Russia only a week and a half ago. A decision from the charismatic Brit is expected later this week. Team HRC will return to a two rider MXGP effort in Latvia with the fill in ride of Todd Waters for the injured Brian Bogers. Waters is familiar with the circuit after racing to a 12th overall in 2015 and has been working hard with the team on testing leading into the weekend. In the MX2 class Rockstar Energy Husqvarna Factory Racing’s Thomas Kjer Olsen will be looking to repeat his winning Latvian performance from 2017 but will be up against the formidable Red Bull KTM Factory Racing duo of Pauls Jonass and Jorge Prado. For Jonass this is his home GP and a very special one which he comes into with the momentum of dominating the MXGP of Russia and leading the MX2 championship. Last year Jonass missed the out on taking the win managed a strong 2nd place to the roar of his home fans. Prado is now 20 points back in the standings from his teammate Jonass but has been the one rider so far this season that has consistently pushed the pace of the reigning champ. Prado’s only race on the circuit was last year where just missed the podium in 4th. Team HRC’s Calvin Vlaanderen will hope to bring his new Honda to the podium for the first time in 2018 this Sunday. Vlaanderen has been close with strong races but with the podium result of last year in mind, this may be his weekend. Kemea Yamaha Official MX2’s Ben Watson reached the podium for the first time in his MX2 career just over a week ago in Russia after barely missing it on several prior occasions. Watson now 4th in the points will look to keep the momentum going and improve upon his 19 overall in 2017. F&H Racing Team’s Jed Beaton is running 5th in the championship with his most recent result being 8th overall in Russia. Ben Watson’s Kemea Yamaha Official MX2 Teammate Vsevolod Brylyakov will miss the racing due to a knee injury suffered at his home MXGP of Russia. The unfortunate turn of events for Brylyakov comes after his best qualifying performance in 4th and a season high 3rd place race result in Trentino. Also notable to mention is the possible return of Honda 114 Motorsport’s Hunter Lawrence. Lawrence who suffered an injury in Trentino showed speed early in the season and was expected to contend for the title.